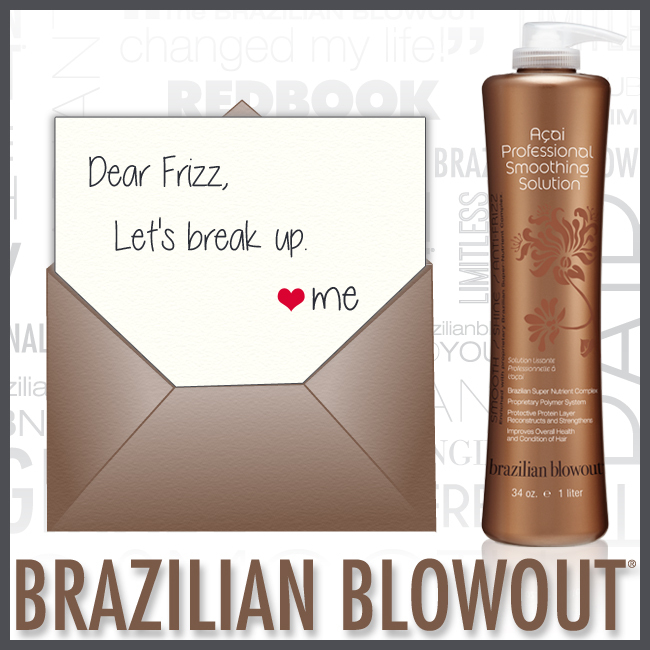 Break up with Frizz and fall in love with your hair this Valentine’s Day! 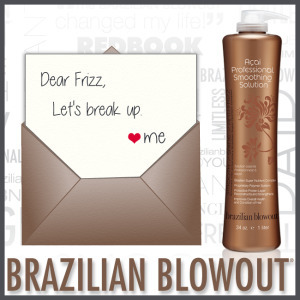 Give your darling the gift of frizz free hair with a Brazilian Blowout treatment. Call (619)233-6211 for $149 Brazilian Blowout treatment and full-size shampoo special with Kirstin. Offer valid through February 2015. Its the perfect gift for your Valentine! She’ll love it! that actually improve the health of the hair, can give you the hair you are looking for. And… with no damage! The salon treatment cuts down drying time so your morning styling routine has never been easier. Brazilian Blowout certified stylist Kirstin Anthony loves how a Brazilian Blowout treatment actually improves the health of color-treated & highlighted hair by conditioning the hair and sealing the cuticle for enhanced color, reduced frizz and extra shine. From now until the end of February, Kirstin is offering the original Brazilian Blowout treatment for *$149. PLUS you’ll go home with a full-size Anti-Frizz Shampoo. The shampoo protects your Brazilian Blowout to keep the quality and extend the length of the treatment. You won’t find a special like this anywhere else. *Long hair may require an additional charge. Please call (619)233-6211 to make appointment with Kirstin in advance. *We don't share your info. We send short, fun salon updates including savings and special gifts.